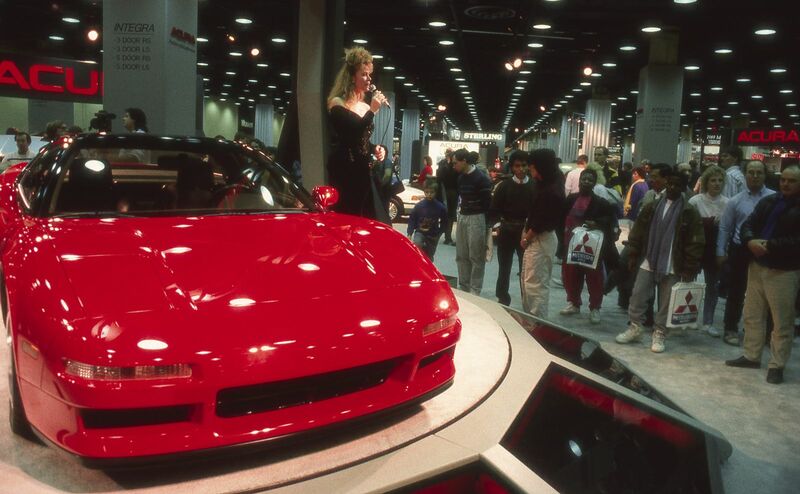 Dateline, Chicago Auto Show, February 1989: A few booths away from where Mazda was introducing the future of the classic British roadster sat Honda’s answer to the rarefied world of exotic sports cars. 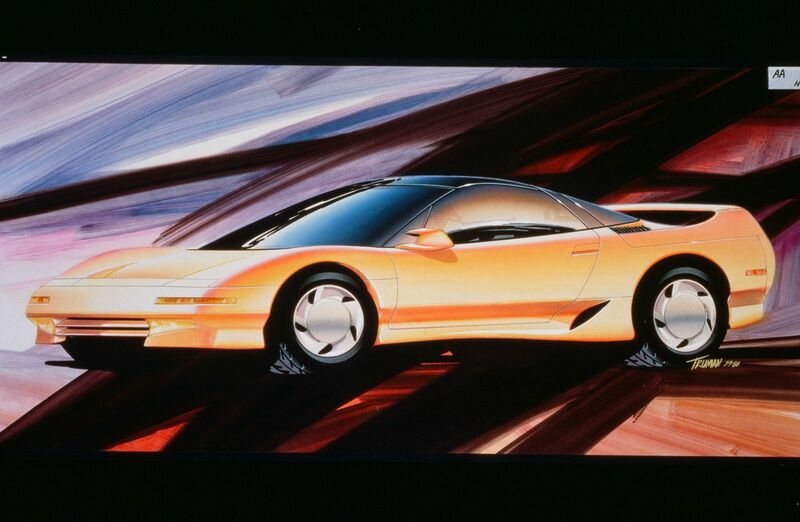 Surrounded by the handsome and competent, if comparably pedestrian, first-generation Integra and Legend variants, its upmarket brand Acura debuted the “NS-X Prototype Midship Sports Concept,” and this car would change the automotive world forever. The NS-X—”New Sports eXperimental” with the production model of 1991 losing the original moniker’s hyphen—got its start in 1984. 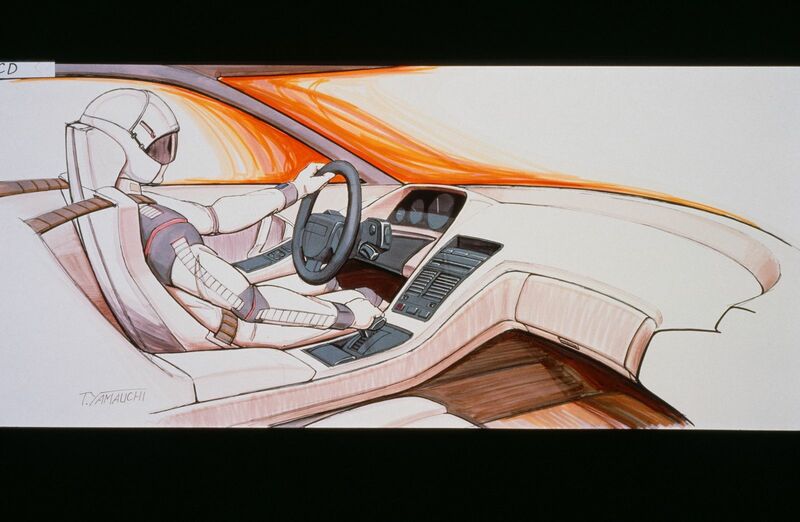 As early design studies reveal, Honda quickly settled on cab-forward proportions topped with a glassy greenhouse inspired by that of an F16 Falcon, and gave the interior an ergonomic sweeping dashboard and console treatment. Cementing its exotic nature was the rear-mid placement of that Formula One-influenced 90-degree V-6, based on the regular production SOHC engine in the contemporary Legend. The 24-valve DOHC 3.0-liter (189-cu.in.) 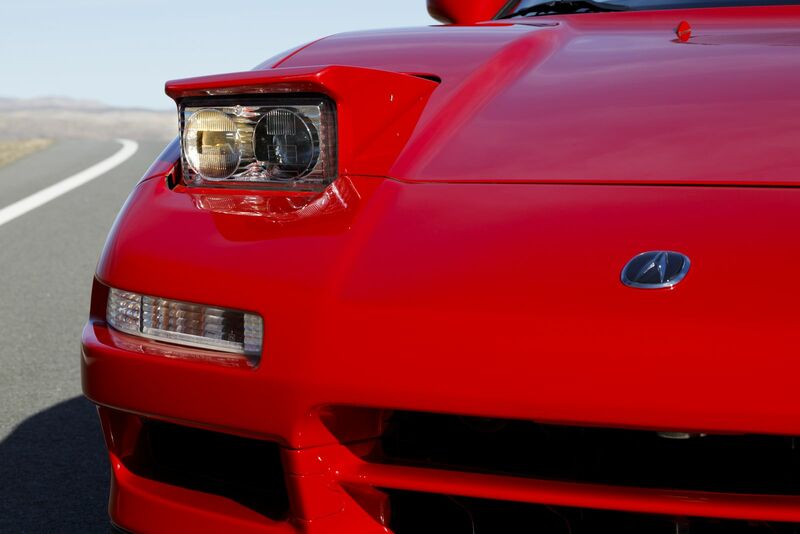 in the production NSX would represent America’s introduction to VTEC—Honda’s patented Variable valve Timing and lift Electronic Control. The naturally aspirated aluminum block-and-head V-6 sported titanium connecting rods, direct ignition, a 10.2:1 compression ratio, and Programmed Fuel Injection, all contributing to its period-impressive 90-hp-per-liter rating of 270 hp (252 hp for automatic transmission-equipped models). Honda ensured the NS-X’s chassis and body were as unique as its powerplant. The body was the world’s first production all-aluminum monocoque, proving this concept before Audi borrowed it for the flagship A8 luxury sedan. Underpinning that was a light-but-strong forged aluminum double-wishbone suspension, with staggered-size alloy wheels measuring 15 inches front, 16 inches rear. Those smaller front wheels allowed for an incredibly low hoodline, as well as a reasonably sized pedal box, adding to the daily driver comfort this car offered over its pedigreed Italian competition. It’s not surprising to know the NS-X Concept blew everyone out of the water, and would set new standards for liveability in exotic cars. 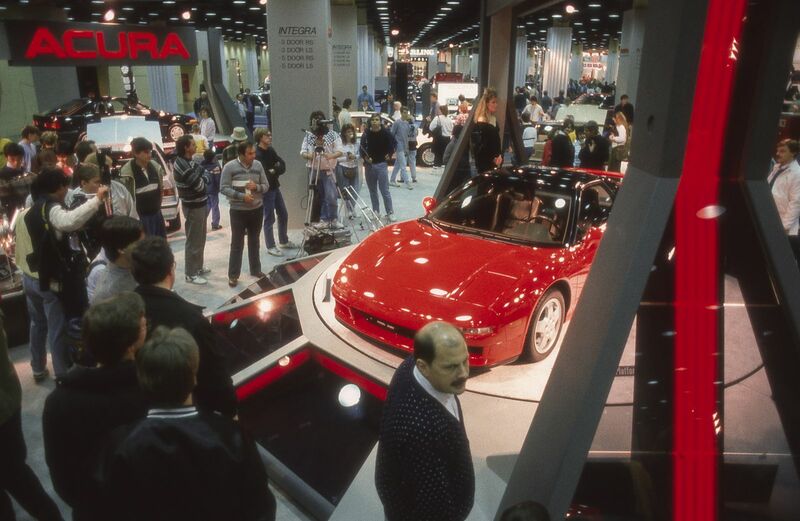 To commemorate the 30th anniversary of this car’s global debut—it was unveiled during a press conference on February 9, 1989—Acura hosted a panel discussion during the media days of this year’s Chicago Auto Show, and displayed both an original NSX, and the current high-tech hybrid AWD generation. 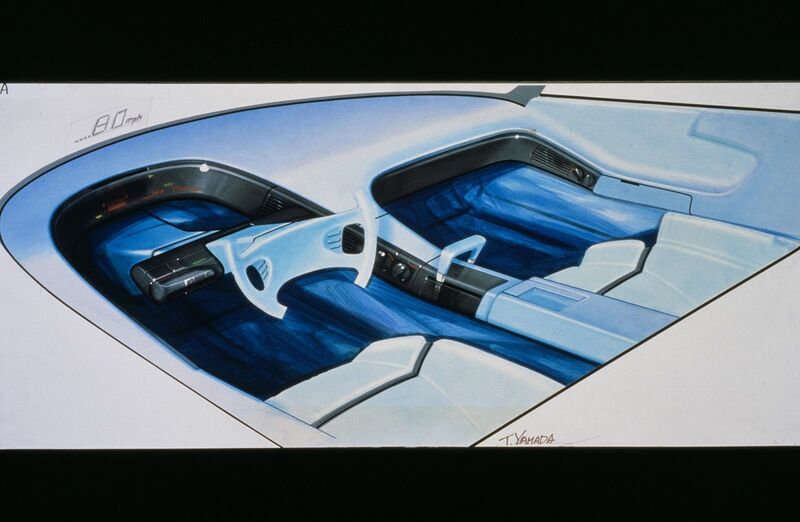 The automaker provided some fascinating historical information about the NS-X Concept that we’ll share here. 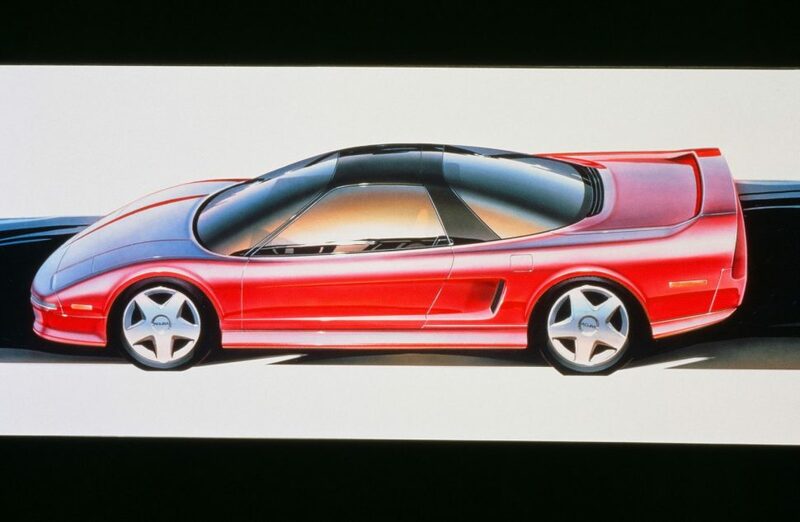 “The prototype NS-X Concept introduced at the Drake Hotel in Chicago in February 1989 was shorter overall than the final production vehicle, with a shorter wheelbase and less front and rear overhang. 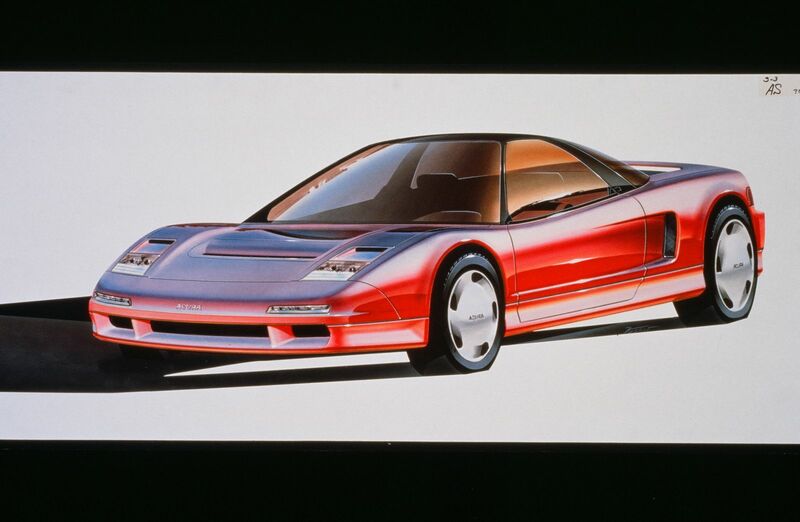 The evolution of the design from prototype to production would be impacted by a late change to the engine specification – from the prototype’s SOHC V6, shared with the Acura Legend sedan, to the production NSX’s bespoke DOHC V6 with VTEC valvetrain. Prior to the press conference, the president of Honda Motor Co., Ltd., Tadashi Kume, unexpectedly decided to fire up the prototype’s engine, a sound that could be heard in an adjacent room, where a competing automaker was holding its own press preview. While the noisy blast attracted media attention, Kume turned to the NSX engineering team and asked why the NS-X Concept didn’t use the new VTEC technology that had been recently developed at R&D. When told that it was only planned for a 4-cylinder engine application, Kume pushed the team for a VTEC V6 design. The engineering team received similar input from a group of top enthusiast automotive journalists attending a ‘super long lead’ driving event at Honda’s Tochigi R&D Center, prior to the prototype’s Chicago Auto Show debut. These included top testers from Car and Driver, Motor Trend and Road & Track. The reactions were generally very positive; however, there was also a feeling that the NSX could use more power. 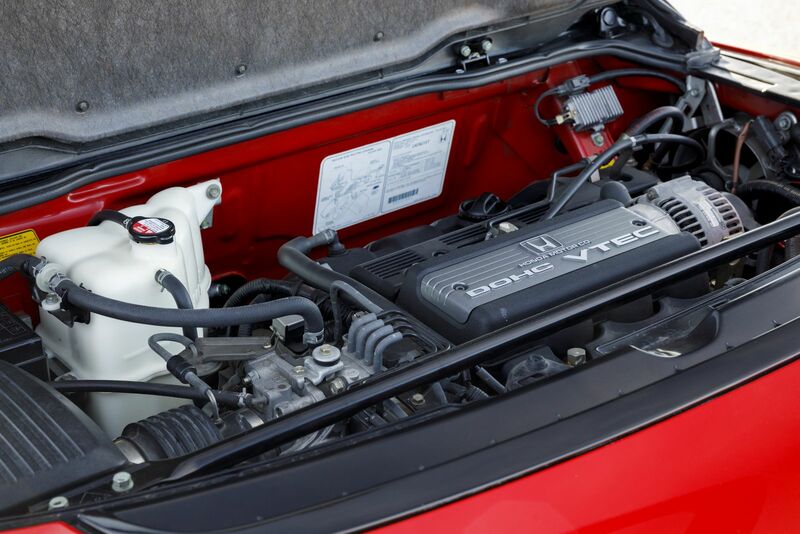 Ultimately, the DOHC VTEC cylinder head was wider than the head on the prototype’s SOHC engine, with significant implications to the production NSX body. 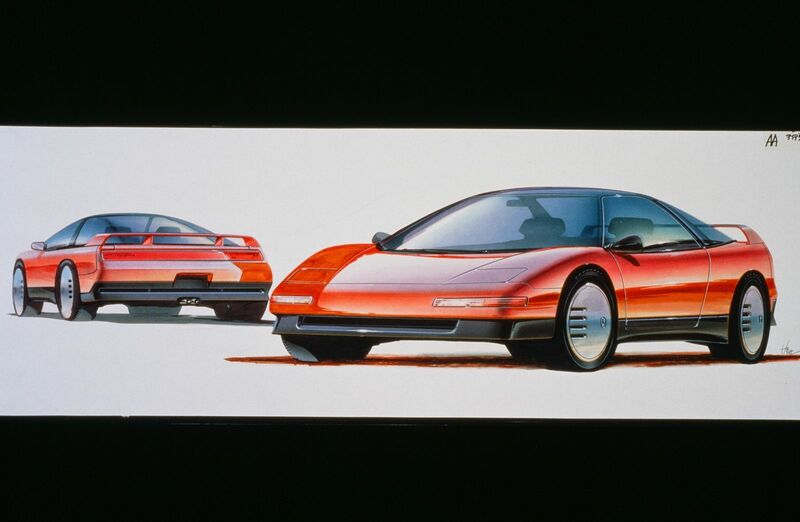 The wider engine resulted in a slightly longer wheelbase, along with increased front and rear overhang for the production NSX. All of these changes occurred rapidly, resulting in the longer production model. In the early stages of development, the R&D team spent an entire month at Honda’s Suzuka Circuit, where they conducted numerous evaluations with the test car. In February 1989, around the same time as the NS-X Concept model’s debut in Chicago, legendary F1 driver Ayrton Senna was in Japan to test the new Honda F1 car. The engineering team asked Senna if he would evaluate the NSX prototype. Even though the production NSX targeted levels of rigidity equaling Porsche and Ferrari, Senna felt it could be better. Based on Senna’s input, the team raised its targets for rigidity in April, 1989. They chose the famed Nürburgring for testing, believing that the course would reveal problems they couldn’t detect in their testing at Suzuka. They knew that an extremely difficult course like the Nürburgring would expose even a slight delay in the vehicle’s response to driver inputs. Sure enough, the “Green Hell” exposed that the flexing body was taking away the desired feel of an immediate and direct connection between the car and driver. 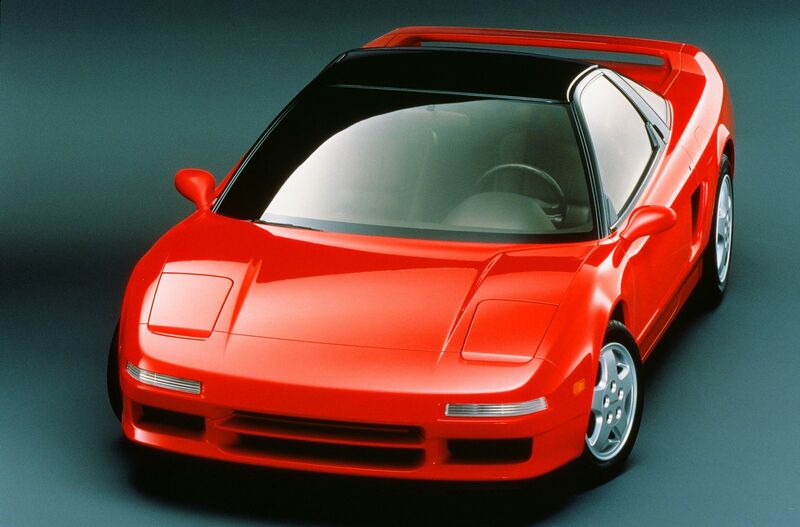 The largely hand-built first-generation NSX would be produced from 1991 through 2005, and there would be a long wait until the current NSX arrived, but we’re glad Acura once again has a proper flagship sports car that represents the ultimate expression of Honda Motor Company engineering for the road. 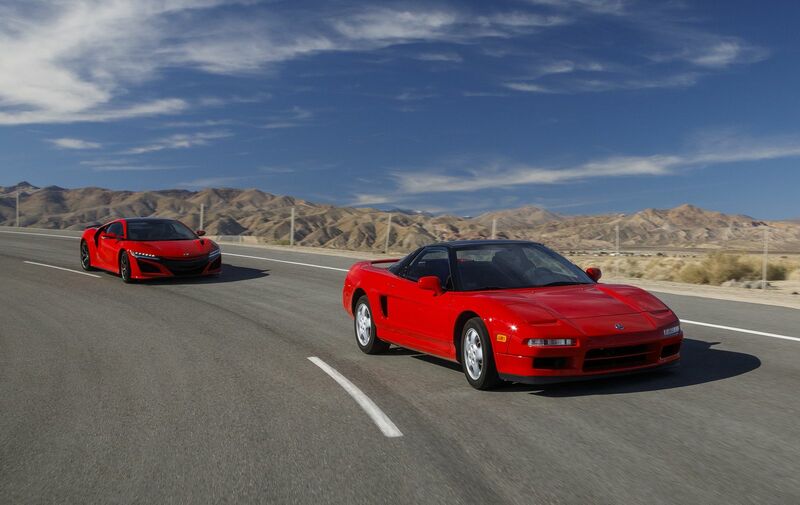 Do you prefer the analog original NSX, or the future-ready current model?